Always fun to try off new polishes. As basecolor I have used the nailpolish Spiked of the Gellook Collection of Nailways. This is a nice bright yellow color. 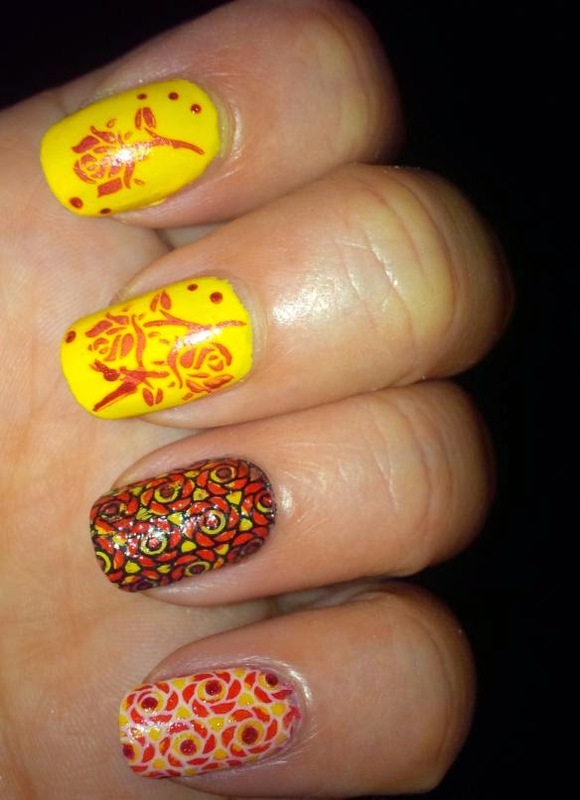 On the middle finger and index finger I stamped with the Baroque Rococo Collection. The cute roses come from the stamping plate Springtime - Love is in the air also from Nailways. For the little finger and ring finger I made my own waterdecals. 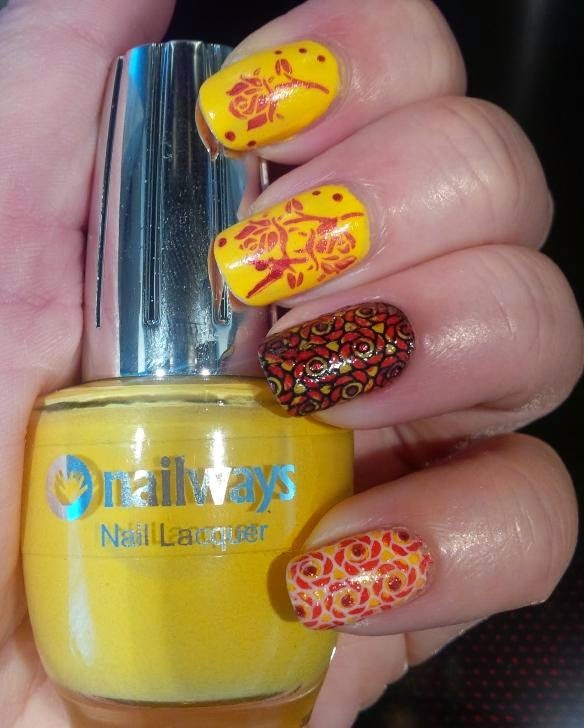 I did this by putting Nailways Stamping TopCoat at a hard plastic bag. After drying I stamped with black and colored this with various colors of nailpaint. Again I used the topcoat and after drying I pick it up with some tweezers. At my nails I also did some topcoat and let the decal melt. Then again topcoat over it. With a removerpen I have cleaned all the nail edges. The result I think is pretty funny, just maybe not quite fit with the roses.